Manning Regional Healthcare Center is proud to provide skilled care services which allow our patients to regain independence in daily living, returning them to their highest level of well-being. MRHC skilled care services offer hospital-based care, located in Manning, Iowa. MRHC is fully-certified for 17 beds and helps meet the needs of patients who require additional skilled care beyond the acute phase of illness or injury. The scope of care offered includes, but is not limited to, major joint procedures, strokes, heart conditions, respiratory problems, nutrition/metabolic disorders, wound care, IV antibiotics, teaching diabetics, colostomies and other poostacute services. The typical patient stay is 7 – 10 days and most patients receive home nursing visits after their stay. If you or a loved one requires skilled care services after an acute hospital stay, allow our professionally trained staff to care for you in our new, modern facility, right here in Manning. 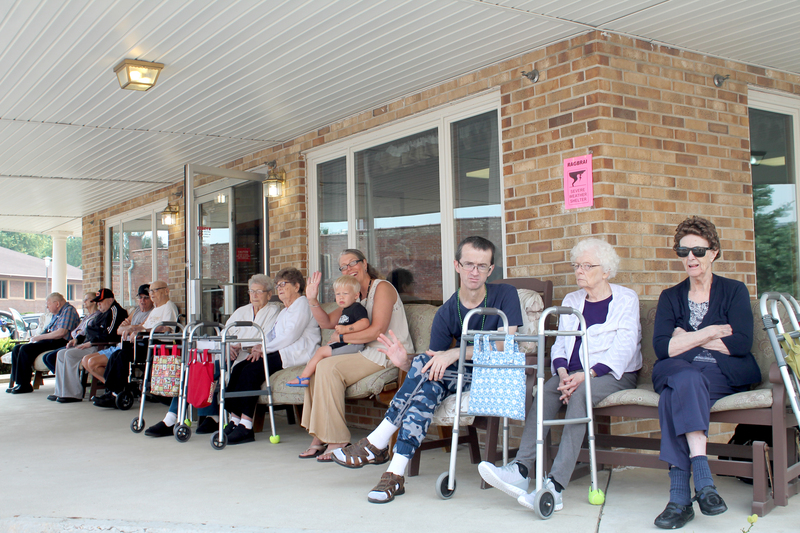 At MRHC, skilled care patients are encouraged to participate in daily activities. MRHC provides a relaxing environment to aid in the emotional well-being of each patient. Discharge planning begins on admission to MRHC skilled care and individualized goals are established with you, your family and your medical providers. Patients participate in a weekly care conference with family members and the patient’s multidisciplinary care team at MRHC.